The Project lab.Bode is set to revolutionize mediation work in German museums, starting on the Museumsinsel Berlin. The Project lab.Bode is set to revolutionize mediation work in German museums, starting on the Museumsinsel Berlin. 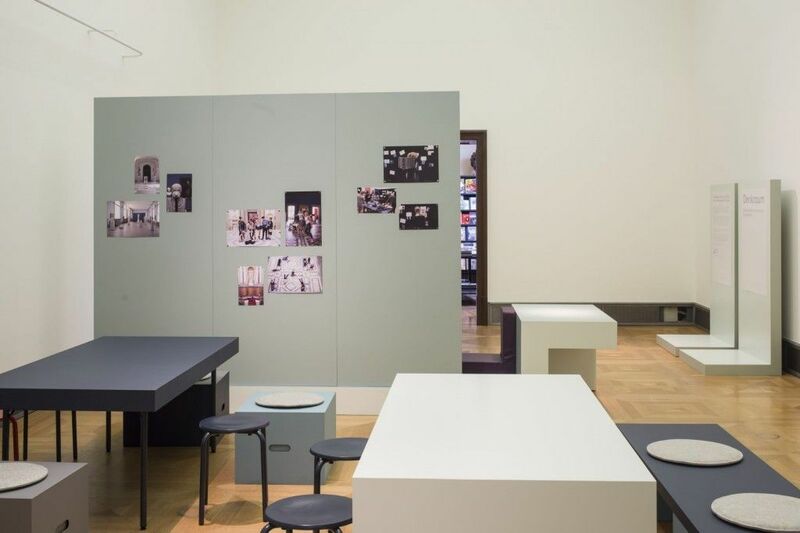 The pilot project, funded by the German Federal Cultural Foundation (KSB), has been getting up steam since the summer of 2017: the first staff positions have been filled and the premises in the Bode Museum – suitably designed by raumlabor Berlin – are now ready for laboratory-style experimentation. We talked to Heike Kropff, Head of the Department of Education/Communication of the Staatliche Museen zu Berlin (National Museums in Berlin) and Julien Chapuis, Director of the Skulpturensammlung (Sculpture Collection) and the Museum für Byzantinische Kunst (Museum of Byzantine Art) in the Bode-Museum, to find out what lab.Bode is, as well as its aims and its potential. lab.Bode is described as a pilot project by the Staatliche Museen zu Berlin for “strengthening mediation work”. What does “mediation” really mean and why is it so important? Julien Chapuis: For many people these days, a museum is not something that they automatically comprehend. Mediation, as I understand it, is a bridge between the content and the visitors; it facilitates meaningful interaction, various kinds of interplay between the visitors and the collection. Opinions vary about what is worth doing and what effects can be achieved. How do you manage to stimulate this interaction? 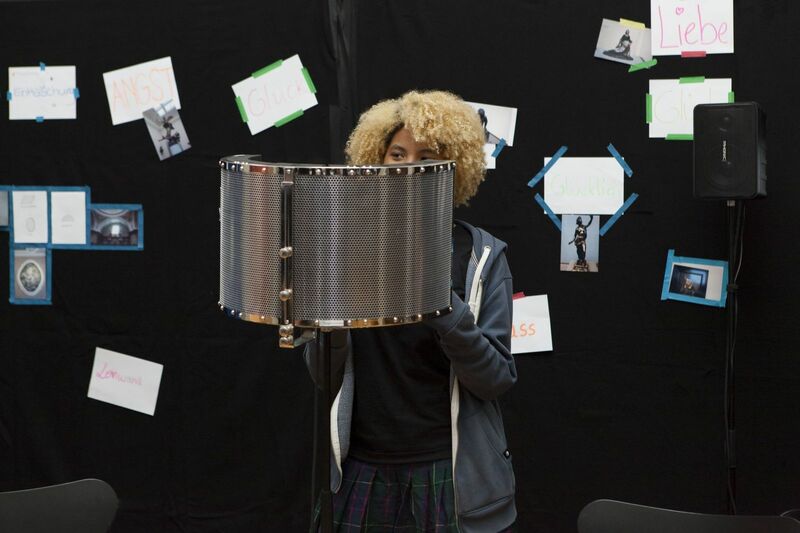 What new approaches are you exploring at lab.Bode? Heike Kropff: Educational and mediation work is about integrating museums into daily life as social locations, which you go to because you find things there that you can relate to. It’s not only aimed at the kind of people who you’d expect to find here anyway, but also at those who haven’t yet felt like coming through the doors. We have to break down those inhibitions and to do so, we have to change ourselves. Then you have to ask what role mediation work plays in museum practice as we know it. Is it about the education and mediation staff having to develop guided tours at the end of a process such as the conception of an exhibition or the revised presentation of a collection? Is that enough? Of course that’s not enough. One opportunity offered by lab.Bode is that we can actually analyze this inreach: How can education and mediation involve curators in mediation processes? 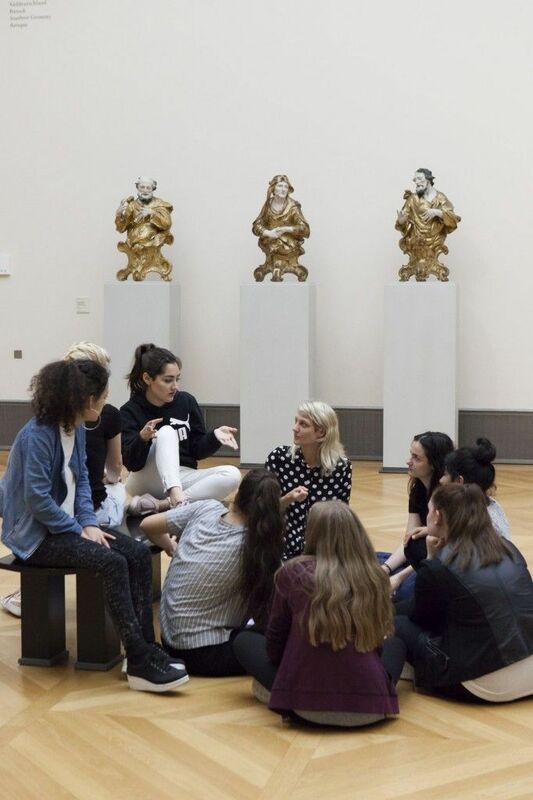 How can the curators benefit from the knowledge of their colleagues in education and mediation? How can they be brought closer together? The other major aspect is the idea of opening up to sections of the public that have not really come here so far. Up until now, teachers and school classes have been among the less frequent users of the museum’s resources, and we want to change that. Have you already got any firm ideas about how to get schools on board? 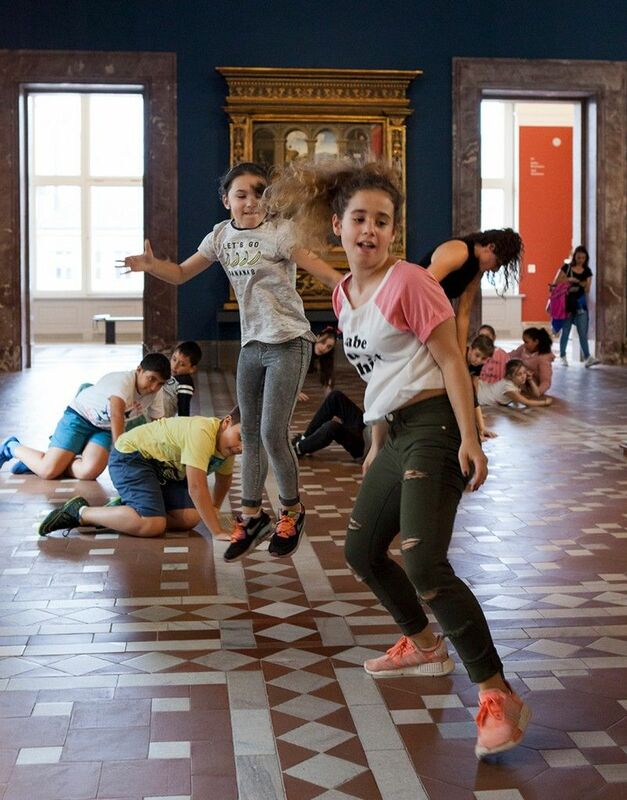 Kropff: We are working together with nine partner schools in Berlin to find out the best forms of long-term cooperation between schools and museums, which is something that politicians are also calling for. It’s not all that easy, because we have very different systems with different obligations: schools have strict timetables whereas we at the museum have all the time in the world; schools award marks for the right answers, we say that everything is open to interpretation. How do you reconcile that? And how do the structures need to change? Because the lab.Bode project is funded by the KSB, a national arts funding body, the idea is that its results should be transferable to other museums. The best way of doing that is to develop a modular system, which could be used anywhere in the country. Chapuis: What I am hoping to achieve is to increase the level of identification with the museum, especially among the young generation here in Berlin. I want them to see their concerns reflected here, so that they perceive the museum not as an elitist institution, but as something that relates to them. Mr. Chapuis, why was the Bode Museum chosen? Chapuis: During the preliminary phase of the project, I told Hortensia Völckers, the artistic director of the KSB, that I was interested in strengthening mediation work here. So she recognized that a project like this would meet with an enthusiastic reception at the Bode Museum. I made it clear from the start that I was willing to do it here, to take risks, to break new ground, and to try experiments. Kropff: It was really important to us to have a museum director who says: I’m going to engage with a process of change. Not everybody does that. In addition, the contents of the Bode Museum are well suited to such a project. The collection is unusually specialized in its scope, but the lessons learned here are likely to be transferable to many collections that exist in Germany, thanks to common areas such as the Christian motifs as well as the sculptures. The combination of sculptures and objects that we have here is an exciting one. Chapuis: In comparison to contemporary art, older art is harder to bring across. Kropff: The objects and content are certainly rather cumbersome, but that’s good. Chapuis: At the Hamburger Bahnhof there is a very successful mediation project on the subject of painting versions or exact copies (i.e. reproductions) of works of art. That’s an activity with a direct relationship to the collection. It is much more difficult to find something like that for older art. After all, you can hardly tell people: “Today, we are going to carve a gothic Madonna from wood and cover it with gold leaf.” Eighty percent of the collection has a Christian theme – and that is inaccessible to many people. If we can manage to do it with these objects, in this building – a building that looks like a castle, that you enter through this heavy door, and then comes this big statue of someone on horseback… It is a building that makes most teenagers wonder why they are in there. Their first reaction is: “What am I doing here? This has nothing to do with me.” The inhibition threshold at the Bode Museum is quite high, so if we can manage to do it here, then it can be done at the Pinakothek in Munich, at the Wallraff-Richartz Museum in Cologne, at the Städel in Frankfurt, and even in museums of contemporary art. If the mediation formats being tested here turn out to work successfully for this collection, then we will have made a big step forward. Kropff: In museums with contemporary art, nobody dares to develop ideas on the basis of the works of art any longer. I often encounter resistance at other museums when we suggest taking a freer approach to the exhibits – not purely imparting knowledge, but first trying to find a connection between the visitor and the content. Each of you looks for these points of contact from the perspective of your profession. In your case, Ms. Kropff, that’s museum education and in yours, Mr. Chapuis, it’s art history. How does this interdisciplinary collaboration actually function? Kropff: We at the managerial level worked on this concept jointly and of course people did not always see eye to eye, but the collaboration nevertheless proceeded in a very constructive and very appreciative spirit. I hope that the academic staff for education and mediation in the museums will be able to conduct their work in a similar atmosphere: on an equal footing with the curators and with face-to-face communication. Ideally, people would also get away from the idea that you first draw up an exhibition concept and only afterwards think about how to mediate the exhibition. Chapuis: It takes a lot of energy and stamina. But because we have hammered it all out in every last detail, I can stand by every word of the various measures that we are proposing. In that sense, it is very constructive, because we both have different expectations and requirements and expertise. And so the result is something that both of us – and the Federal Cultural Foundation – support in equal measure. Kropff: In connection with lab.Bode, 21 academic internships will be created in the field of education and mediation around the country – jobs that did not exist before. At the Bode Museum, for example, there was just one part-time post for education and mediation. Now, all of a sudden there are going to be four academic assistants for education and mediation. The relationship between curators and mediators is changing rapidly and so we are beginning to see movement in some areas. Chapuis: One new member of staff at the Bode Museum is Ms. Lopéz-Fanjul, the curator for outreach. Her role is to ensure that awareness of visitors’ needs permeates all of the work processes within the museum. In real terms this means, for example, checking whether exhibit captions can be understood by the average visitor. Museum outreach means trying to bind people to the museum who have not been there before. At the same time, outreach also means inreach, because it is about sensitizing the curators and the people who have been here for years to the needs of visitors and gradually getting them to a point where the interests of mediation are really present in the daily workings of the museum. It’s about a change of mentality within the institution. What are the positions, then? Mediators and curators usually want different things. The mediators want the visitors to be able to relate to the objects. What would the curators’ position be? Chapuis: The word “curator” comes from the Latin verb curare, which means “to take care of something”. The traditional areas of responsibility are collections, research, and exhibitions. Some curators are introverts who work at their desks in their own little worlds and don’t always ask whether what they are doing is understandable. Communication is successful when the person to whom the message is addressed understands what the person who has sent the message means. The point is to get curators to ask themselves, seriously, what they are doing, how they are doing it, and for whom. The main question is: Who are we here for? A museum is not a private sandpit, but a public institution with visitors to consider, and one criterion of our work is that what we do should be understandable to them. In the film presenting your project, it is said that lab.Bode is investigating how the museum of tomorrow might look. The SPK has some projects on the museum of the future too, including museum4punkt0. Do you see any possibilities for collaboration? Chapuis: I have spoken to the project leader of museum4punkt0, Markus Hilgert, who is the director of our own Vorderasiatisches Museum (Museum of the Ancient Near East), several times. He is working on a change in work processes in terms of the museum as an institution. I am more concerned with a change of mentality on a human level. The two projects complement each other and we are both of the opinion that each of us has much to learn from the other’s project. When I started studying, thirty years ago, I gained the impression that museums were rather like city states. Nowadays, we have all realized that we are much stronger when we cooperate with each other, rather than everyone trying to reinvent the wheel for him or herself. We can benefit from each other much more if we work together. The challenges that museums face are mostly the same, everywhere. The Alte Nationalgalerie is paying tribute to the great Rodin on the 100th anniversary of his death with a mixed-media exhibition: “Rodin – Rilke – Hofmannsthal. Man and his Genius”. 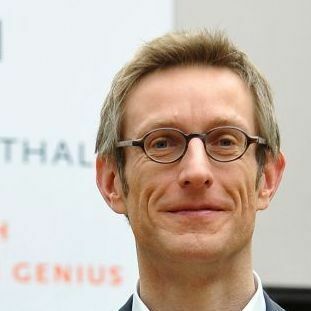 Ralph Gleis, the Director of the Alte Nationalgalerie, describes how Rodin’s work influenced the poets Rainer Maria Rilke and Hugo von Hofmannsthal. 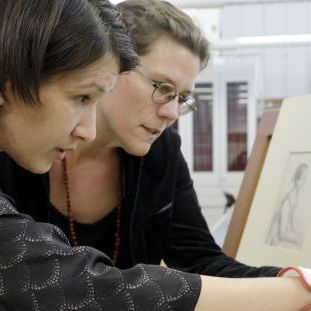 MacKenzie Mallon provenance specialist at the Nelson-Atkins Museum of Art participates in the German-American exchange program on provenance research (PREP). 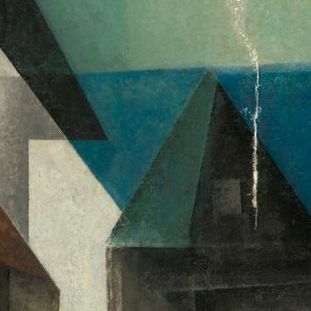 She told us about her recent research on a Lionel Feininger painting where she also used information from the Zentralarchiv.